Weekly Wrap Up #8 ~ I Took A "Personal" Day! All in all, it was a good week... not a GREAT week, but definitely good. By the time Wednesday rolled around I was feeling overwhelmed with laundry, activities, and preparing for a co-op class, so when the kids got out of bed in the morning I told them "NO SCHOOL!". We spent the day running errands and then doing some read alouds in the afternoon. When I was a public school teacher every now and then I would have to take a "personal day" - do you ever take these types of days as a homeschooling mom? While these words were originally written by Paul, it is so applicable to us as mothers. Are we "affectionately desirous" of our children on a daily basis, or are we too concerned with checking off our subjects and completing our to-do lists? And, we love our children so much that we share our lives and our whole selves with them. It isn't that they just fit into a certain part of our day, they ARE our days. This mission of motherhood isn't the popular view in today's culture, and it is so sad to me. I am, however, so blessed to be a part of a group of mothers who all share the same mission, and I left book club feeling so encouraged and supported. I have to be honest that I also left wondering why I blog quite so much... I NEED to spend more time on my marriage, home, and homeschooling. I've been praying about this and working on it for a few weeks now and I can see measurable progress... I post a little less often and don't spend much time anymore on Twitter. 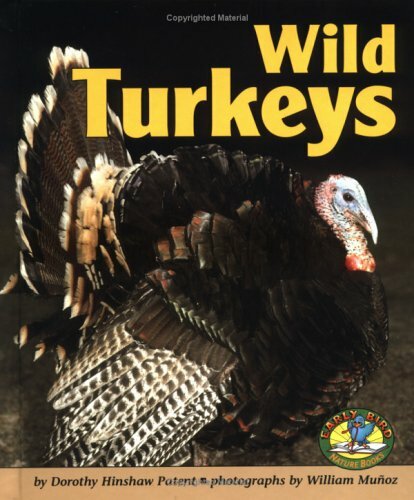 Let's see -- our homeschool accomplishments this week.... Twice we have seen wild turkeys in our area (one time I pulled the car over and snapped a picture), and we found a great book at the library (Wild Turkeys, an Early Bird Nature Book) and learned all about them. This also goes along well with our Flying Creatures of the Fifth Day science text. I love that we can see something that interests us, then extend upon that during our school day. These "educational tangents" are becoming more and more frequent in our homeschool! In our science text we learned about different types of feathers and did an experiment with feathers we had found in our yard. It involved putting oil on one feather and putting it in water, and then putting a plain feather in water. It was a good example of what waterfowl do when they preen themselves. We also began our bird logs in our notebooks and wrote common and Latin names for the birds we are seeing. I'm amazed at how many birds we have in our hard now that we are looking for them and attracting them with feeders! While we are still on the subject of science, I have to tell you about meeting the most wonderful, generous science educator, Janice van Cleave. I simply visited her website a few days ago and inquired about her materials for homeschoolers, and she sent me a HUGE box of science experiments, books she has written, and all kinds of fun science accessories for my children. I was floored by her generosity and passion for science. This week she talked me through a color changing pencil experiment called Chameleon Dyes. If you visit her website you can see what it's all about! This is Janice, and we'll be using A LOT of her science materials this year! We continued learning about Julius Caesar this week, and this has really interested my children. One fun activity we did was talking about measurement in ancient Rome. When they measured things in "feet" they literally meant the length of a person's foot. So, the kids traced their feet (don't ya love the patterned paper? - from my leftover scrapbooking scraps!) and measured their height in their own "feet" and then compared that to today's standard 12 inch foot. We also watched a documentary on Netflix (Sunken Ships of Rome) about sunken ships off an Italian island and the secrets they revealed. I was amazed at how nicely this tied into our reading of The Wadjet Eye this week, too. 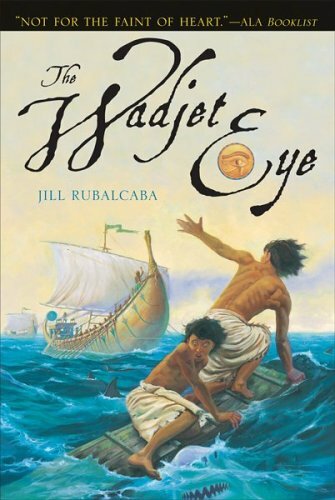 If you're studying ancient history, The Wadjet Eye is a must read! I pulled out a book about maps this week and wanted to make sure the kids had all the basic geography facts cemented in their brains! We reviewed the continents, oceans and terms like topographical, cartographer, latitude, longitude, etc... and then the kids took turns calling out grid coordinates and finding places on the map. To reinforce coordinates, dad and GMan played plenty of Battleship this week, too. This was GMan's first experience with the game, and he greatly enjoyed playing - although we still need to work on him giving away the location of his ships! GMan's Lego passion continues (I don't see it waning any time soon), and he earned a Creator set from me for reading all the way through his children's devotional Bible. He spent a month of Sundays (literally!) reading his Bible in church and he finished it last Sunday. I was more than happy to reward him with some Legos. We got the set on Monday evening. He didn't have time to build before bed so he said he was going to get up early Tuesday and build. Fine with me. I had no idea early meant 4:30 a.m.! Here's his finished project; this is the first time he has built with the directions and no help from mom or dad. He looks tired, doesn't he??? Miss B had some fun while I was giving piano lessons one afternoon. She finally opened a sand art kit she had gotten for her birthday and completed two wonderful pictures. These were fairly intricate, but she stayed at the kitchen table nearly two hours working on them. I love it that my children can get involved in project and see them through to completion! Homeschooling gives us this time. Both children are illustrating the poem The Months by Sara Coleridge (in First Language Lessons). Last year I had fun nice spiral bound books for children to write stories in, but we're using them for copywork with illustrations this year. I don't have a formal handwriting program for the children, but when they do copywork or Writing With Ease lessons we talk about good penmanship. GMan is really wanting to learn cursive, so I may have to look into that for him in the near future. The kids finished notebooking pages about Oklahoma this week and we read a story about Will Rogers. Next week we'll study Kansas. Don't ask me how we're coming up with the order we study them - it's totally random! We chose Kansas because sang Home on The Range this week, and learned that it is the state song of Kansas. We culminated the week with going to see Dolphin Tale. All I can say is WOW. It's the best movie we've seen in quite some time. The kids really want to go see Winter the dolphin in Clearwater, FL now. I know we can work it in when we make our annual trip to S. Florida to visit my mom and dad, so it's something we can all look forward to. Tomorrow is a big day for both kids: It is opening day for GMan's baseball league, and it is Miss B's very first swim meet!! We'll be going all day with sports, but I'm so glad they each have something they love and are passionate about!